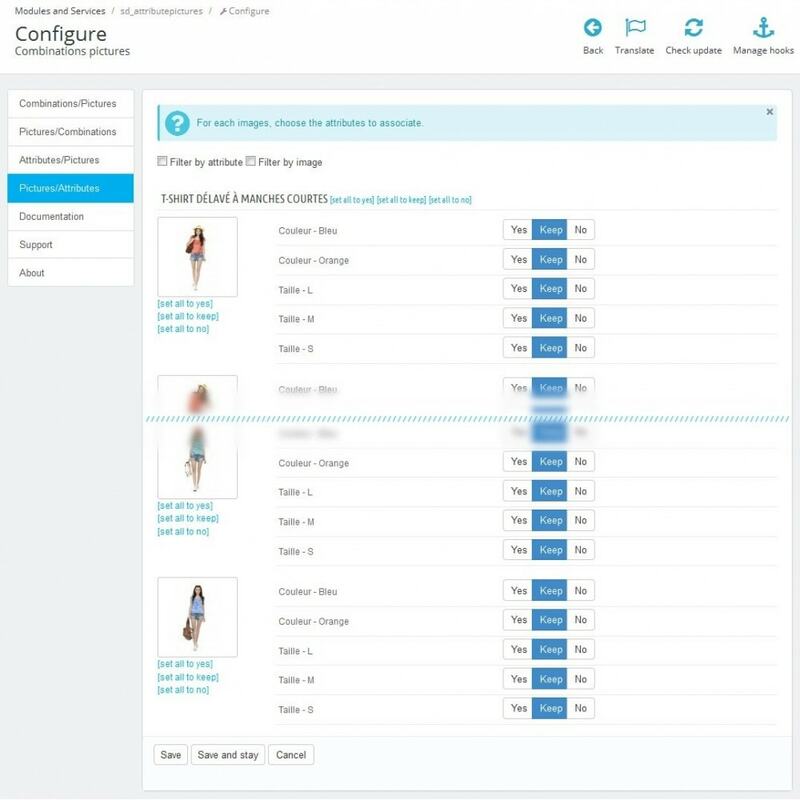 This module allows you to associate quickly the images of your products with the combinations without having to browse all the combinations one by one. The generator of combinations of Prestashop saves a lot of time but it does not manage the images. To associate the images with the combinations, you thus have to modify each of them to mark the associated images. It takes a lot of time and is very boring. 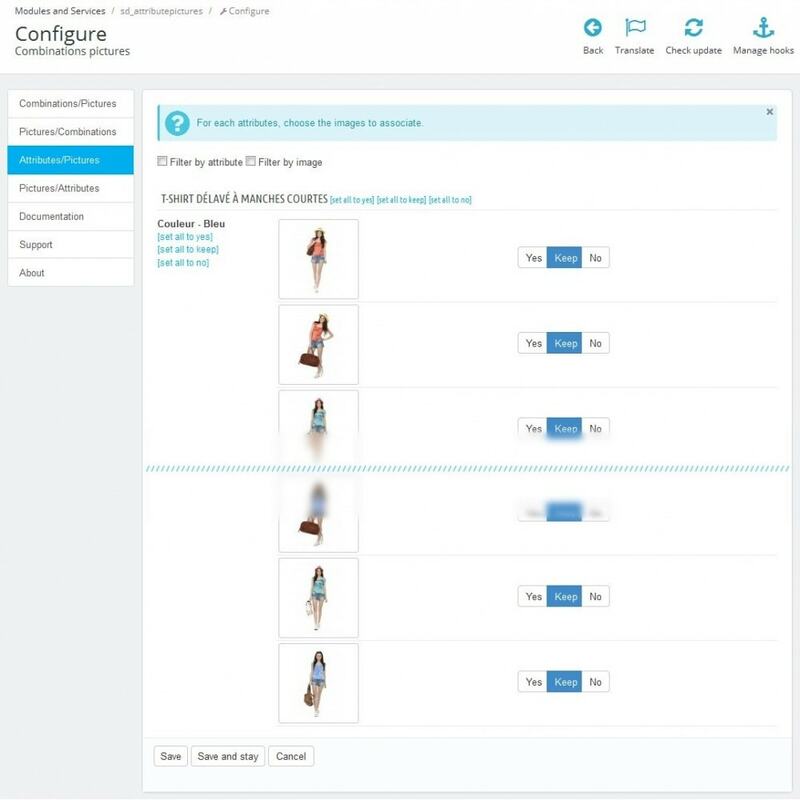 This module corrects this problem by allowing you to associate in onr step the images to all the combinations. The saving of time is very consequent and the risk of error decreased. For a simple product having six combinations and four images, it is six times faster to associate the images with the module than without. In the tab 'Combinations' of your product sheet, click the button 'Set pictures'. This button appears only if the product has at least one combination and one picture. 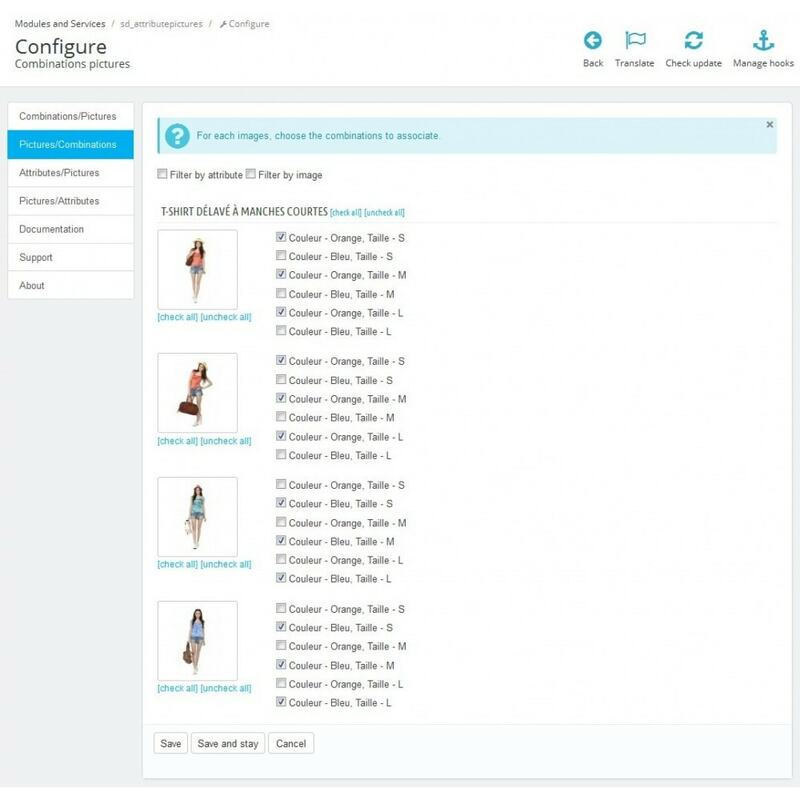 A window appears allowing you to choose the images associated with every combinations of the product. 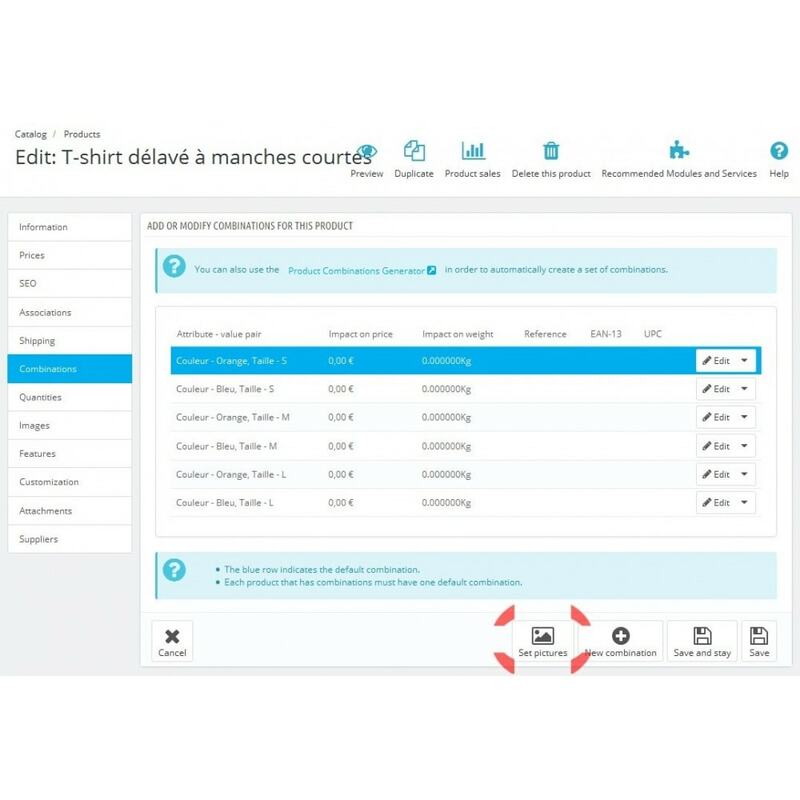 Once the images selected, click 'Save' to validate and return to the product sheet.